In addition to a committed veteran recruiting team, we’re focused on bringing more veterans to the company through a veteran referral program. Our new recruits will join a vibrant community of veteran, military spouse and civilian ally Googlers—called VetNet—who are proud to provide others with resources and support, both at Google and beyond. 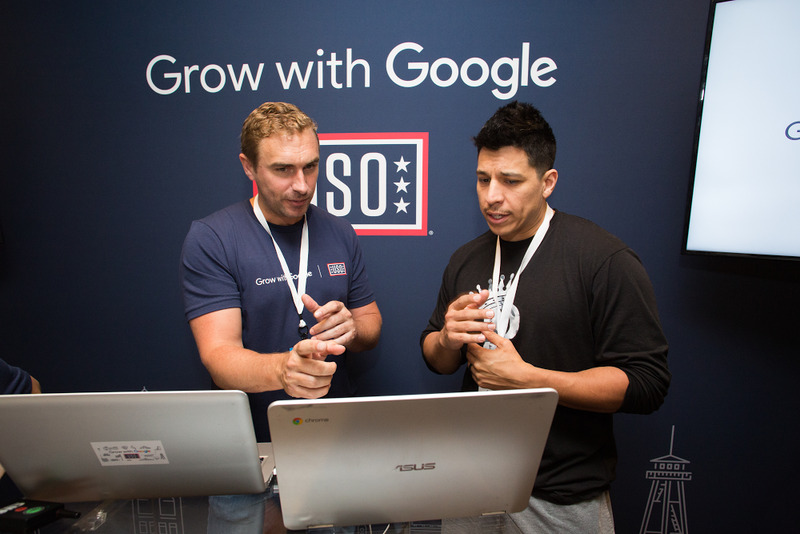 Sean O’Keefe, former Staff Sergeant in the U.S. Army and Google VetNet member, works with a USO client during today’s workshop at the USO San Antonio Downtown.